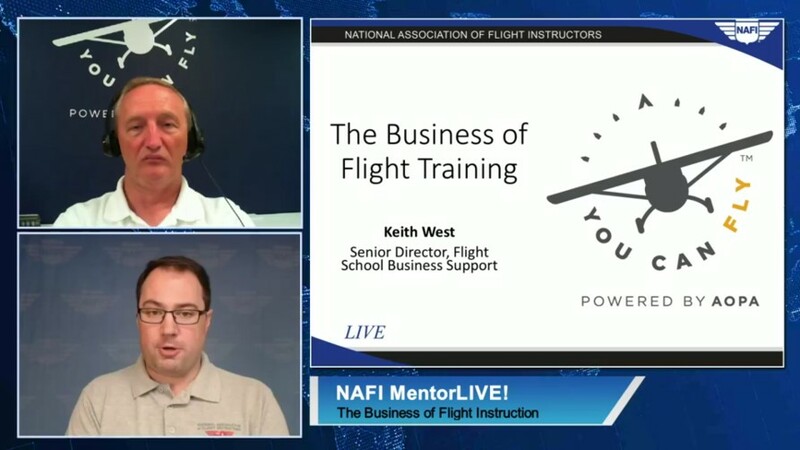 MentorLIVE is NAFI’s monthly, live-streaming broadcast airing the third Wednesday of every month at 8:00 PM Eastern. 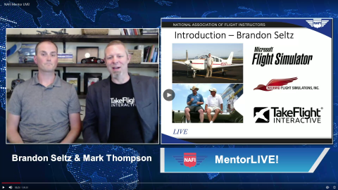 These programs feature subject matter experts from many aspects of the flight instruction industry to help CFIs be more successful in their training endeavors. Many of these presentations are WINGS-approved credits! Until recently, conventional training and wisdom dictated that pilots should always land straight ahead when confronted by an engine failure that occurs shortly after takeoff. This controversial topic has been hotly debated since the early days of aviation to the point where turning around to land on the departure runway has been called “the impossible turn.” It can be argued convincingly, however, that there are instances when it would be safer to return to the airport than to land straight ahead following such an engine failure. 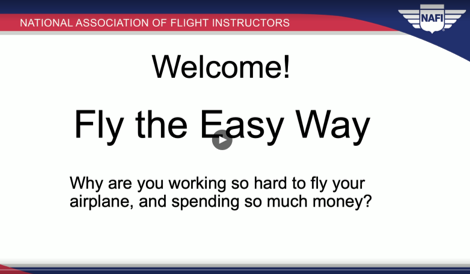 During this presentation, Brian Schiff will discuss the principles involved in returning to the airport safely. It will be based to a large extent on his father, Barry Schiff’s, decades of study and research involving this subject. Brian Schiff is a captain for a major U.S. airline with 20,000 hours type rated on the Airbus 320, Boeing 727, 757, and 767; DC-9 (MD-80); CL-65; LR-JET; and Gulfstream V. Schiff’s roots are deeply planted in general aviation having flown a wide variety of aircraft. 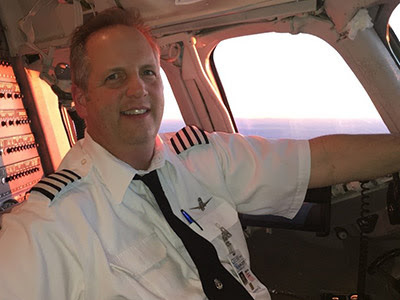 He holds several flight instructor ratings and is recognized for his enthusiasm and ability to teach in ways that simplify complex procedures and concepts. He has actively instructed since earning his flight and ground instructor certificates in 1985. He attended San Jose State University, and earned his Bachelor of Science degree in Aeronautical Science from Embry-Riddle Aeronautical University and his Masters of Science degree in Aviation Safety from the University of Central Missouri. 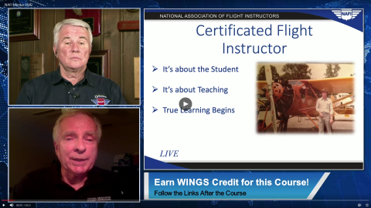 He regularly teaches and conducts seminars about aviation safety and techniques to student and professional pilots alike. Qualifies for FAA Wings Credit! 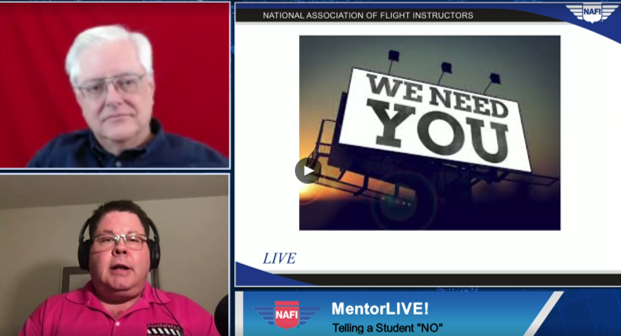 January 16th, 2019 "Telling a Student NO"
November 14th, 2018 "From Solo to 787 Captain – An Instructor’s Path to Success." Presented by Craig O'Mara, Boeing 787 captain, and member of the NAFI board of directors. Presented by Thomas P. Turner, ATP, CFII and MEI. Please check our website and Facebook page often for additional information as it becomes available.